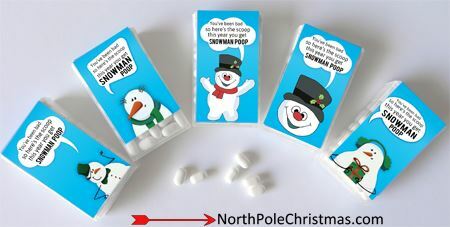 Delightful small gift using tic tacs. 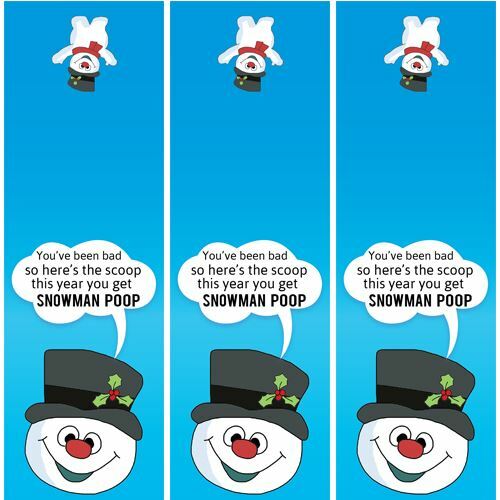 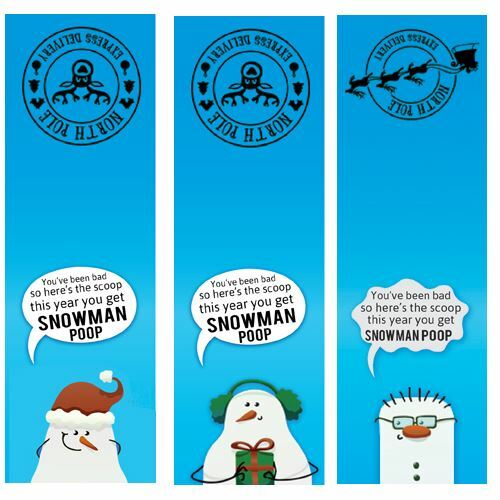 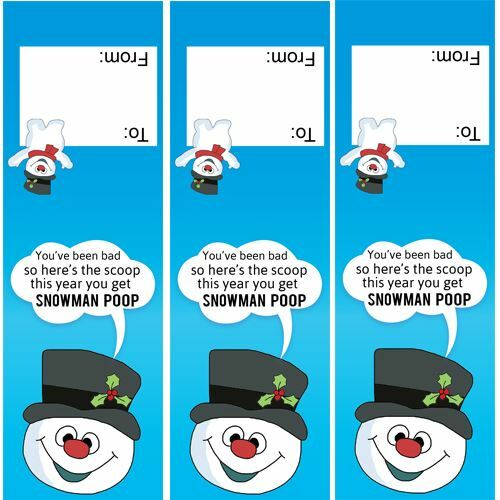 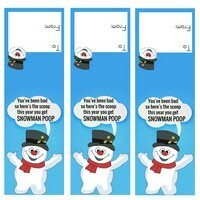 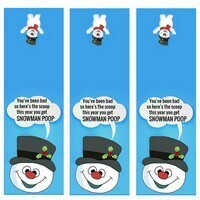 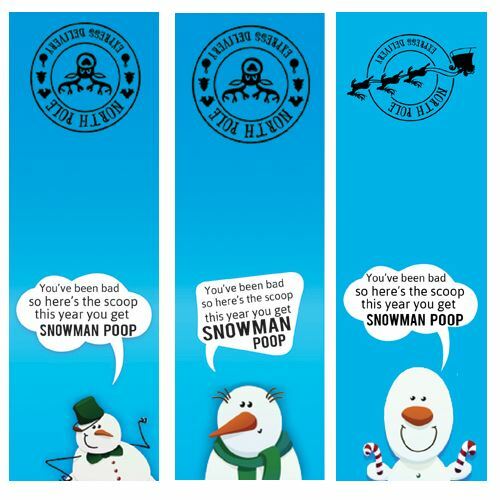 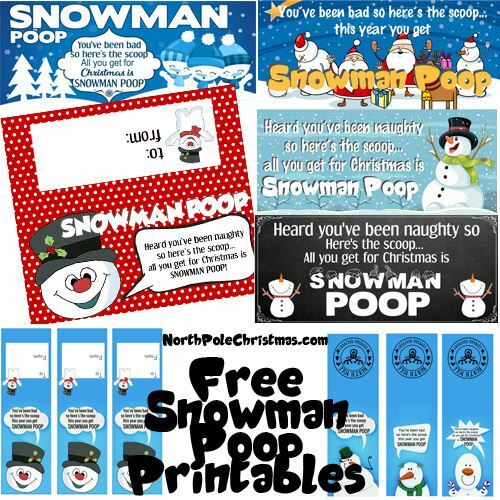 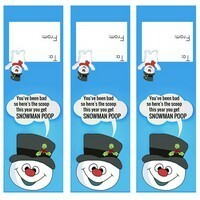 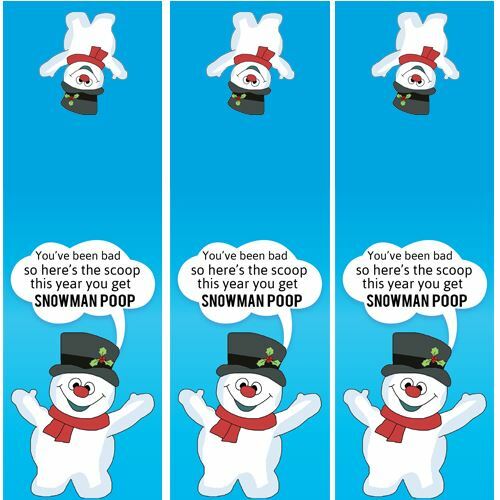 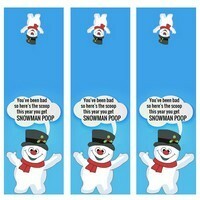 To make snowman poop - print one of the printable labels that will cover the label on a box of tic tacs. 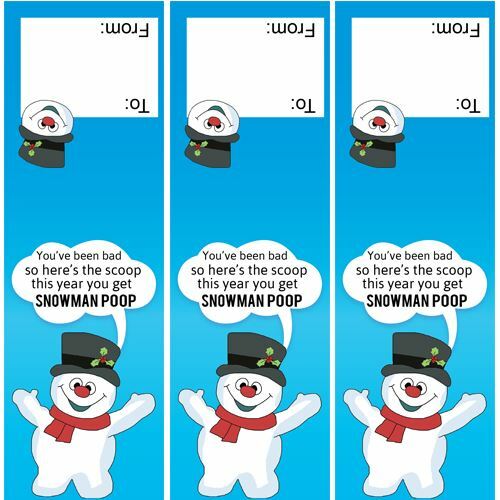 Use double-face tape to attach the label. 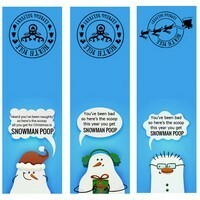 Uses - stocking stuffers, school treats, Christmas parties, co-worker gifts, party favors, craft fairs.